First to take to the stage was The Colliders, a Nottingham based indie-rock band. Playing to a fairly full room, they played a half an hour set of mostly originals but with the addition of an Arctic Monkeys cover. Their impressive musicianship made for a great start to what would be a great night. Second up was another local band, The Chase, a band of which I was previously familiar with but this was my first chance seeing them live but definitely will not be the last. It would be impossible not to mention the impressive performance from keys player James Cahill. During their penultimate song, they were joined by Holly Taylor Gamble (AVA SAINT) and Joe Corby (Red Rum Club) which lead for a memorable performance of their single Reign Over Me. At 21:45 it was Red Rum Club’s turn to play. 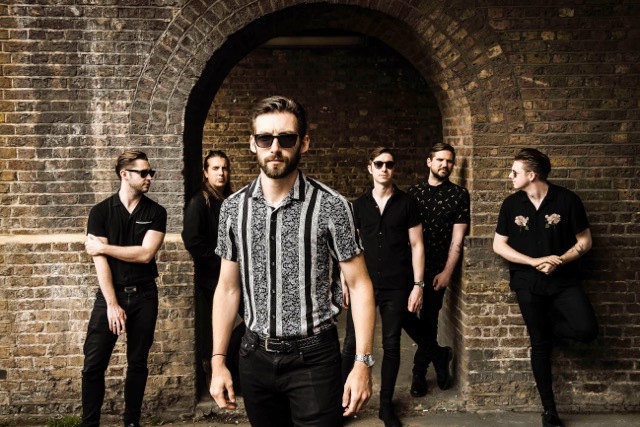 Self-described as “indie rock and roll channelling spaghetti western mariachi vibes”, this Liverpool band filled the night with anthem-esquesongs from their latest album Matador. In advance, they said to “expect a lively atmosphere, lots of singing and dancing” from the gig, which turned out to be perfectly on the mark. Opening with Angeline, set the tone for the rest of the evening. The high energy performance featuring impressive musical skills both as individuals and as a collective, did not slip throughout the night. Trumpet player Joe Corby added a whole new dimension to this alternative rock band. From beginning to end they kept the crowd engaged especially due to frontman Fran Doran’s strong vocal performance and almost theatrical stage presence. Before starting they dressed the stage with candles and roses as well as passing out roses to the audience which added another form of audience participation throughout their set. Despite their debut album Matador only being released two months prior to the gig, the audience knew the words to an impressive level and were singing along at any opportunity, something which Doran noted in advance as being “strange but amazing”. By 22:30, their set came to an end with Would You Rather Be Lonely?. An organised stage invasion and final sing-a-long part ended the night with the same energy that had started it. From this performance and the success of their debut album, it is likely that the next time they’re passing through Nottingham it is to play a larger venue and I would highly encourage anyone who has the chance to catch one of their sets to do so.